On sale while it lasts! 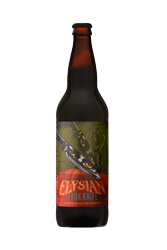 This season we took a stab at a pumpkin Schwarzbier - brewed with pale, munich, roasted barley, and a smattering of dark malts. German Northern brewer and Saaz hops give it a little edge. Pumpkin entrails, cinnamon and ginger smooth over the crime scene. A pumpkin ale with the attitude of a world-weary barista, Punkuccino packs a short shot of Stumptown coffee toddy in your pint with just a shake of cinnamon and nutmeg. A very drinkable pumpkin ale—brewed with seven and a half pounds of pumpkin per barrel and spiced in conditioning with ginger, cinnamon, nutmeg, cloves and allspice.